The spellbinding tale is overflowing with breathtaking scenes that sear themselves into the mind's eye, as boats capsize, bows and sterns crash into one another, and men hurl themselves into the raging sea in their terrifying battle for survival. Not all of the eighty-four men caught at sea in the midst of that brutal storm survived, but considering the odds, it's a miracle -- and a testament to their bravery -- that any came home to tell their tales at all. 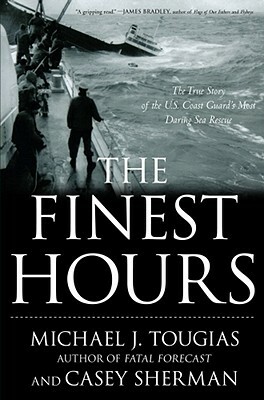 Michael J. Tougias and Casey Sherman have seamlessly woven together their extensive research and firsthand interviews to create an unforgettable tale of heroism, triumph, and tragedy, one that truly tells of the Coast Guard's finest hours.